The central bank said in a statement that the panel has been formed to review the existing status of digitisation of payments in the country as well as assessing the current levels of digital payments in financial inclusion. New Delhi: The Reserve Bank of India (RBI) on Tuesday appointed Nandan Nilekani as chairman of a high-level committee created for the task of review the existing status of digitisation of payments in the country. The panel will also assess the current levels of digital payments in financial inclusion, an RBI statement said. Further, the panel will comprise of a total of five members. 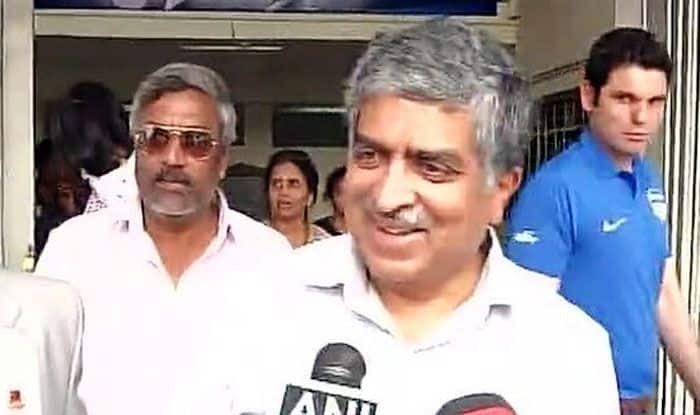 Notably, Nilekani has served as chairman of the Unique Identification Authority of India (UIDAI) and is a co-founder of Infosys. Members appointed for the committee include former RBI deputy governor HR Khan, former Vijaya Bank CEO Kishore Sansi and former IT secretary Aruna Sharma. The panel will also “undertake cross country analyses with a view to identify best practices that can be adopted in our country to accelerate digitisation of the economy and financial inclusion through greater use of digital payments”, the statement said. The committee would provide a roadmap for increasing customer confidence while accessing financial services through digital modes, and offer suggestions to strengthen the safety and security of digital payments in the country. After the first meeting of the panel, the committee would be required to submit the report within 90 days.